NEW YORK: Target planned to launch several pop-up stores in New York City during Fashion Week to highlight the discount retailer's partnership with nearly two dozen high-end designers for its products. 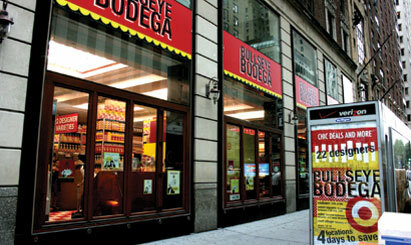 Dubbed as “Bullseye Bodegas,” the stores, which were expected to be open September 12 to 15 in four locations around Manhattan, feature collections by Target's designer partners. They include shoe designer Sigerson Morrison, Jonathan Saunders for apparel, and architect and designer Michael Graves, who became the first of the retailer's design partners in 1999. “We want to generate buzz and excitement around Target and, in this case, the designer partners and affordability of their collections,” said Joshua Thomas, a spokesperson for Target. He added that the initiative emphasizes affordability in the current economic situation. Kaplow, the lead PR agency on the campaign, employed a multifaceted outreach strategy, targeting media and trendsetters, to secure traditional and online coverage, including key calendar listings, according to Tina Haskins Chadha, EVP with the agency. New Yorkers are encouraged to shop at the bodegas, which contain items for sale that won't appear on regular Target store shelves for another 45 days. LaForce and Stevens, the firm that handles PR for Target fashion and beauty, helped to ensure that fashion messaging remained consistent. The firm also managed celebrity ties to the event, Thomas said. The team also hosted a private shopping event for traditional media on September 10.